Garden Furniture. Plant stand sold. 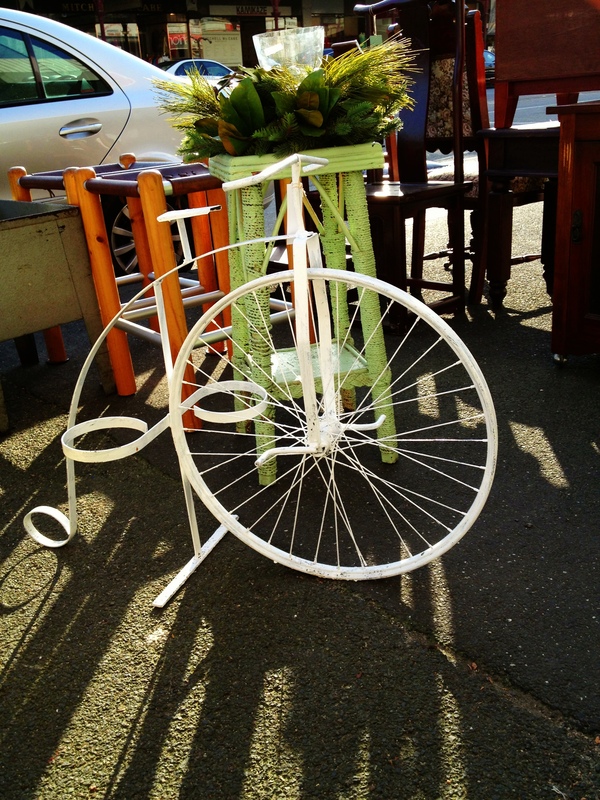 Plant stand in the shape of a penny-farthing bicycle $85. Behind an antique rush covered occasional table. $45.